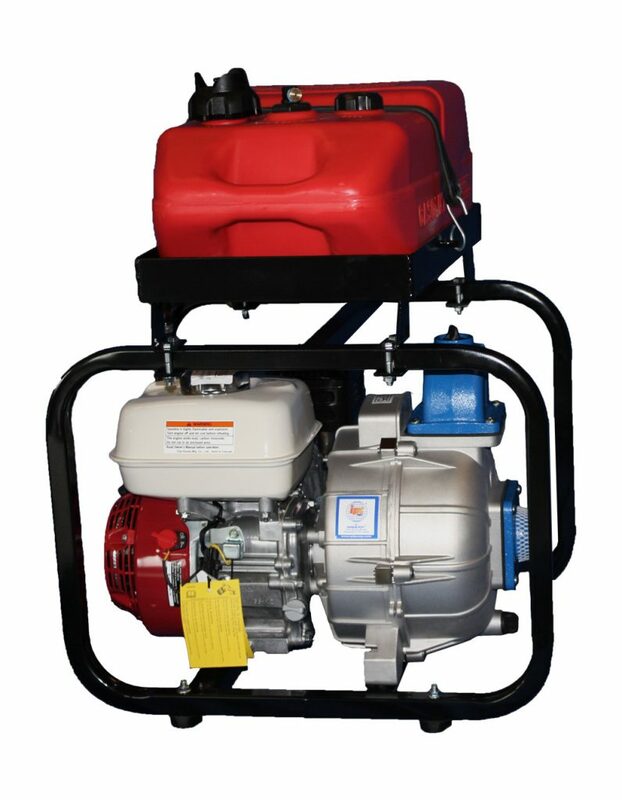 Honda is truly the best in small engines; directly mounted to an AMT aluminum pump & made in the USA. 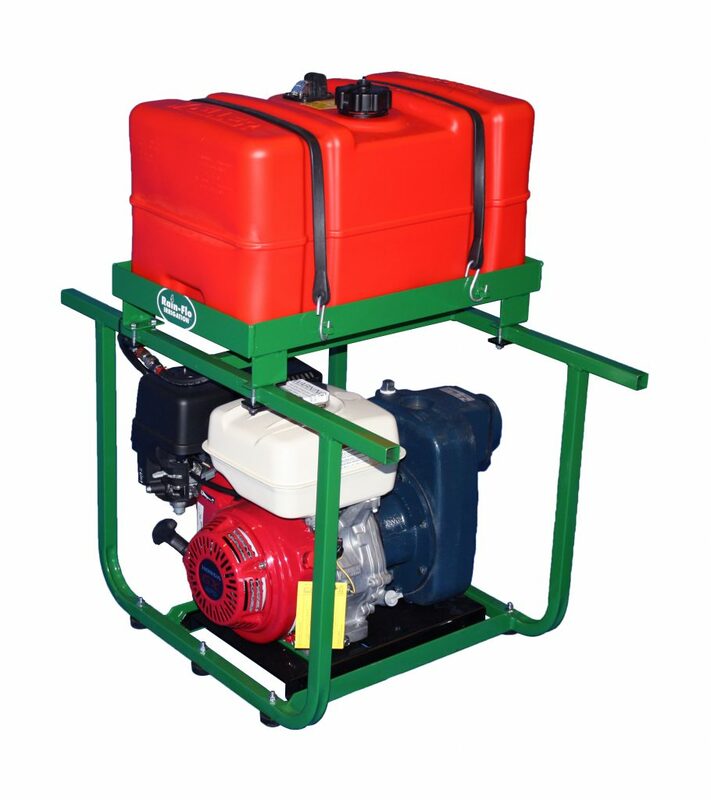 It is an excellent pump for sprinklers, drip irrigation, small guns, filling tanks, etc. 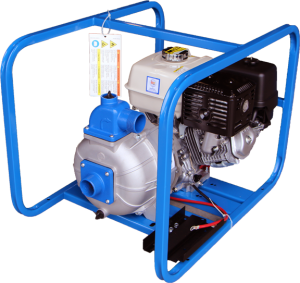 Rain-Flo buys direct from the manufacturer, that is why we can sell at so low prices! Available in high volume – low pressure or high pressure – lower volume (see charts). Runs 2.5 hours on a tank of gas. Using Sprinklers? When using the 2P5 pump for sprinklers it can run 2-30 small sprinklers or one bigger gun, Komet #163 or #8025 Senninger. These guns will cover approx. 1/3 acre per setting. One full tank of gas will do approx. 1″ water on 1/3 acre in approx. 2.5 hours. Ideal for solid set irrigation, small to medium travelers, or drip irrigation. 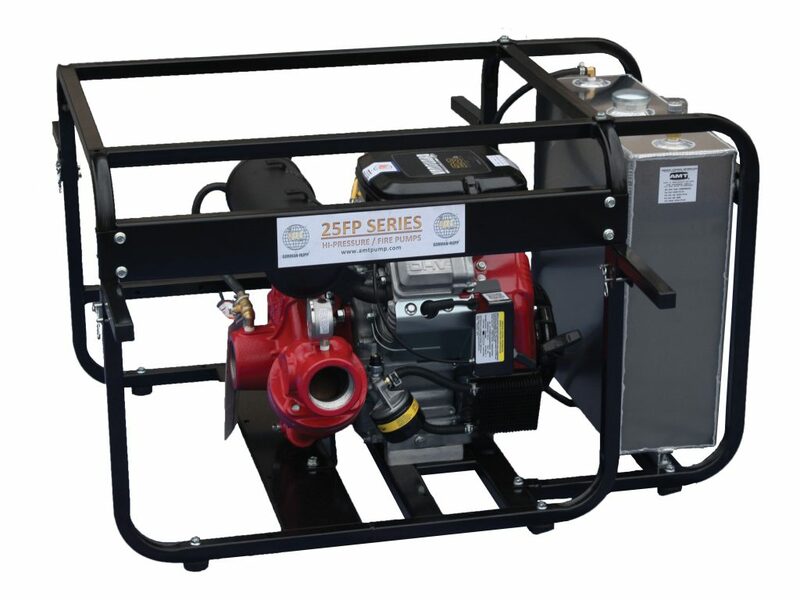 The self-priming Monarch Pump unit with 9 HP Honda engine is base-mounted with carrying handle and is a good choice for medium to high-pressure applications. 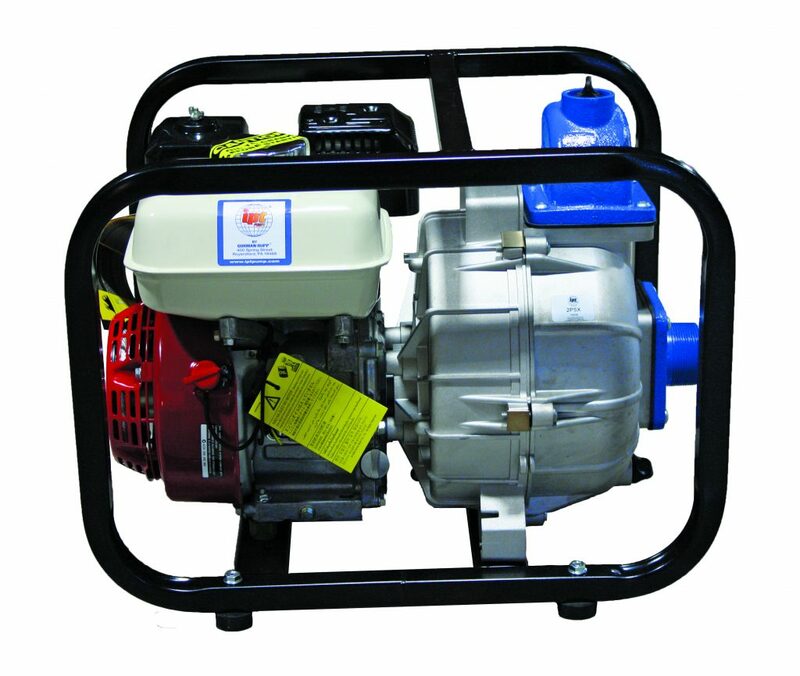 9 HP Hatz diesel; electric start with AMT 2-stage high-pressure pump (shown below). 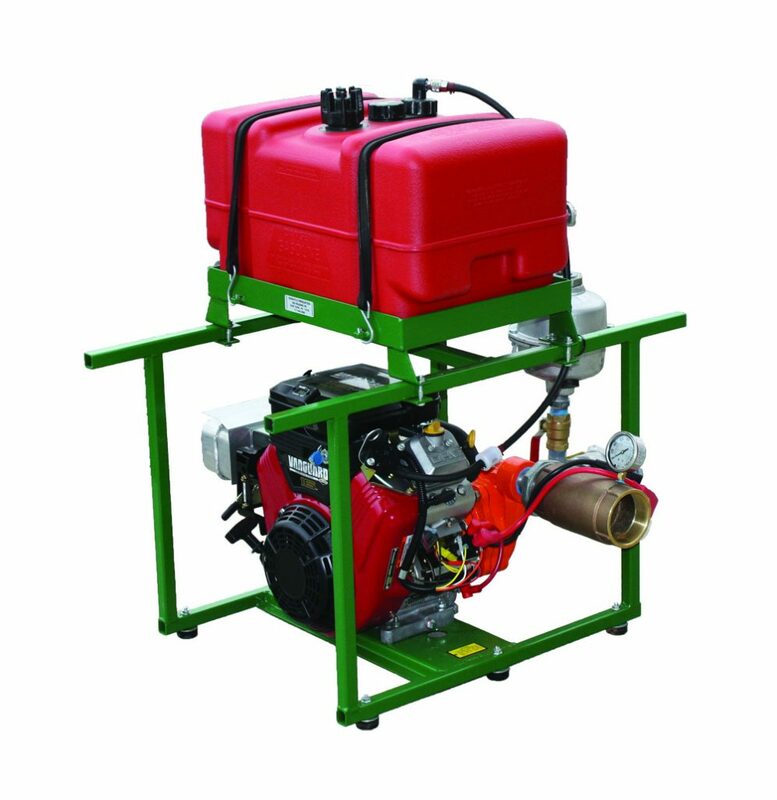 5 HP Hatz diesel with AMT pressure pump also available. *Built-in flapper/check valve permits self-priming to 20’. Ideal for solid set irrigation, small to medium travelers, or drip irrigation. 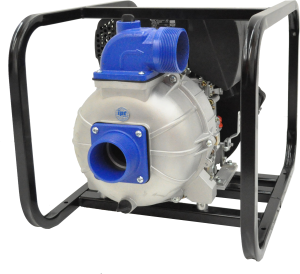 Features: Vanguard “V”-twin 16 HP engine, overhead valve design for 20% less fuel, quality BERKELEY pump with priming check valve, priming pump, and tach hour meter. Comes complete with heavy duty roll cage, 12-gallon gas tank, throttle, recoil rope start and 12-volt electric start. Approximately .9-1.3 gallon gas per hour. Manufactured by Rain-Flo Irrigation.